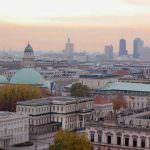 Looking for the best hostels in Frankfurt? You’ve come to the right place! While there are a bunch of mediocre options to choose from we picked out the best Frankfurt hostels for you. Situated on the banks of the river Main, Frankfurt brims with tradition. 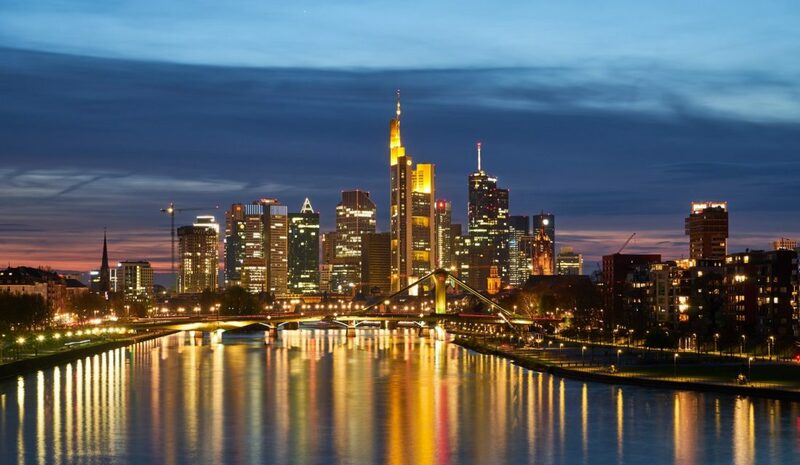 Yet, simultaneously, Frankfurt is a focal point of the modern European business world. The glass skyscrapers of the financial city provide a stark, and fascinating, contrast to the charming and traditional houses of the Altstadt. 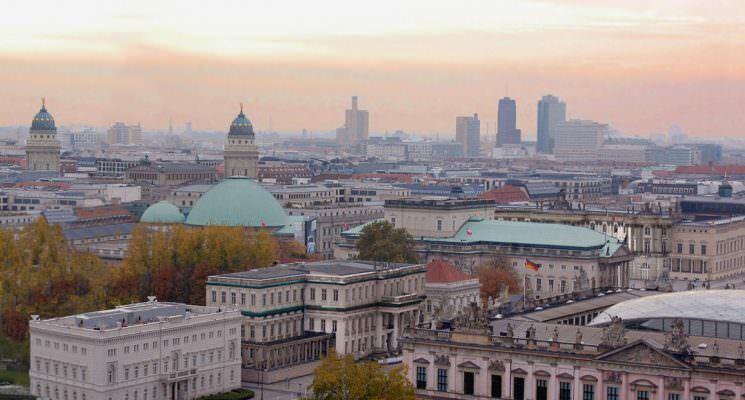 Despite its modern trappings Frankfurt is a city crammed with history and cultural heritage. Those in search of the city’s past will find plenty of things to do in Frankfurt. Exploring gorgeous the old town, strolling along beautiful riverside walks, partaking in delicious regional cuisine, and visiting over 60 of Germany’s most eclectic and fascinating museums and galleries (including the renowned Goethe museum) all await. 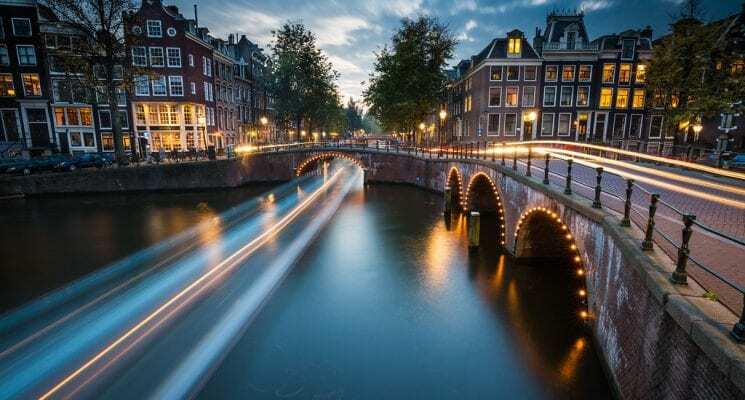 Backpacking around Europe is never going to be as cheap as it is in places like Southeast Asia and South America, but finding affordable and comfortable hostel in Frankfurt isn’t an impossible task. 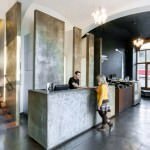 We’ve compiled a list of some of the best hostels in Frankfurt to ensure that your stay in this unique city is everything you imagined it would be. We have put together this list based on what we personally expect out of a great hostel in Frankfurt. 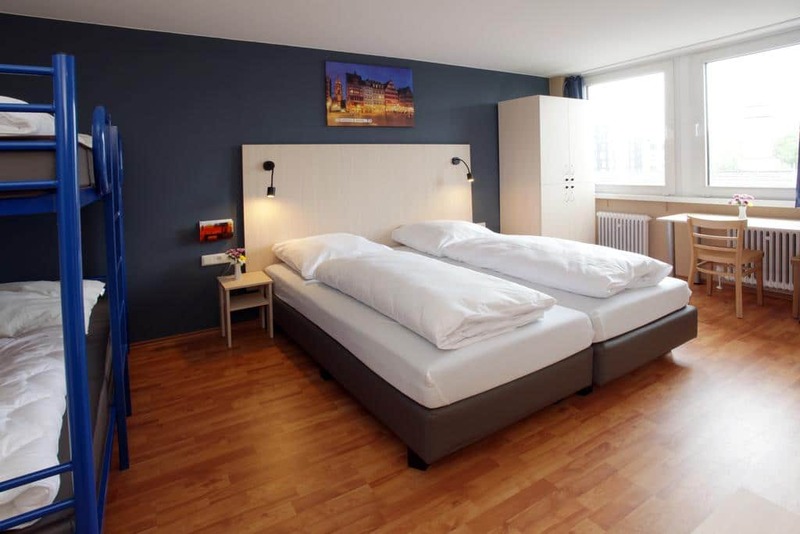 Clean rooms, comfortable dorm beds with power outlets, secure luggage storage, friendly atmosphere that encourages interaction (but doesn’t force it), and a communal kitchen are all super important aspects in our eyes, and we prioritize them when suggesting a great Frankfurt hostel. 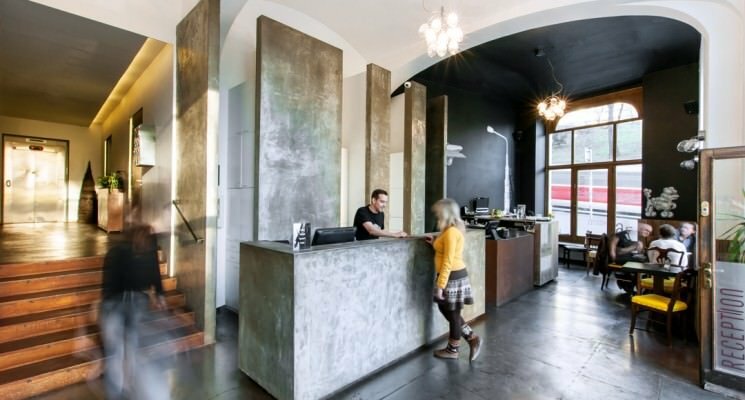 All of these are factors when it comes to making our selection of the best hostels in Frankfurt. There aren’t that many amazing hostels in Frankfurt, but there ARE some good ones. As always, happy travels guys! Looking for an eco-friendly way to travel around Germany? We recommend Omio for the best prices on train tickets throughout Germany. The site is in English, much easier to navigate than the Deutsche Bahn website, and offers the same prices on tickets! Frankfurt Hostel is a truly unique hostel that caters to travelers every need. Conveniently located a 1 minute walk away from Frankfurt’s main train station, Frankfurt Hostels’ location is one of it’s major selling points. 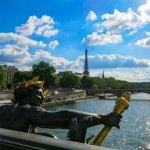 In just 10 minutes you can reach the majority of the city’s main attractions on foot, including the Old Town, numerous museums and the shopping mile. Frankfurt Hostel might not have a very original or creative name, but it offers dorm, private and single rooms for very affordable prices…as far as, you guessed it, Frankfurt hostels go. They provide luggage stories, safe and secure locker facilities, and a 24 hour reception where the staff are always willing to provide information about what to see and do in and around the city. One of the best things about this hostel is the FREE all you can eat breakfast and FREE spaghetti dinner that’s prepared by the staff every night. 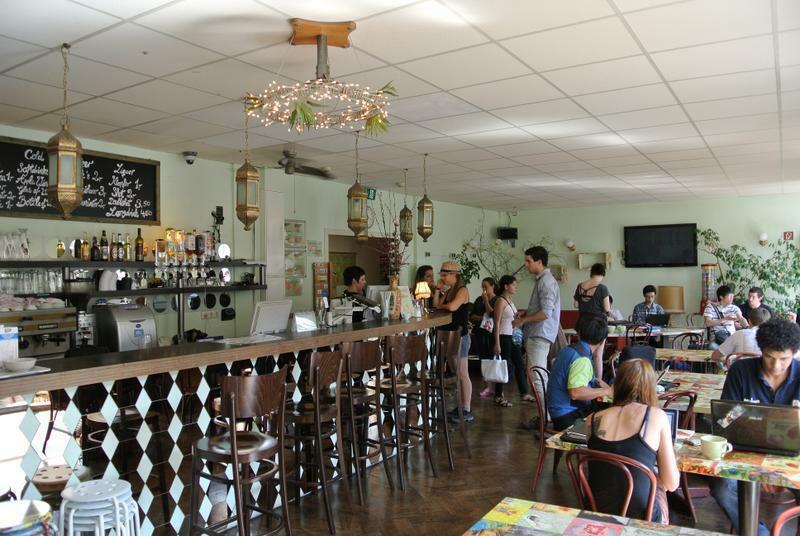 If you’re looking for a hostel with a social atmosphere that will make meeting and making friends with other travelers easier, then look no further than Frankfurt hostel. We’d classify Frankfurt Hostel as one of the best party hostels in Frankfurt so if you’re looking for a calm tranquil place to rest your weary feet perhaps this isn’t the place for you. But if you’re up for a few drinks every night, enjoy live music and making new friends then this is one of the best hostels in Frankfurt. There are so many reasons why this is the top rated hostel in Frankfurt on Hostelworld.com and why it earns a place on our list of the best hostels in Frankfurt. Located in a quiet area next to the Frankfurt Messe Exhibition Centre, Meininger is close to all the city’s main attractions and transport links. Situated in the heart of Frankfurt’s Europaviertel, the main train station is only one stop away on the S-bahn railway system, and the city centre is a short 2 stops away, making it a very central Frankfurt hostel. 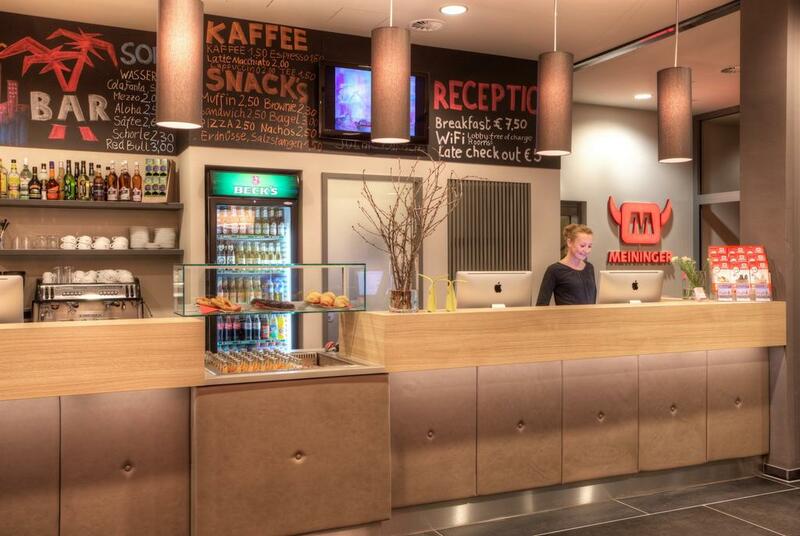 Meininger has an onsite bar, serving apfelwein (apple wine) which is a delicious Frankfurtian speciality. Fuel yourself for the day ahead with a delicious buffet breakfast serving fresh bread, pastries, coffee and much more for under €10. There’s also a lounge, guest kitchen and gaming area which includes a pool table! Numerous services are available such as bike hire, packed lunch, laundry facilities, and a free luggage storage room. With it’s modern facilities, and friendly, relaxed atmosphere, you’ll find this hostel provides everything you need to make your stay in Frankfurt as comfortable as possible. Highly praised for its social atmosphere, helpful staff and prime location, we couldn’t omit Five Elements from our list of the best hostels in Frankfurt. Located just around the corner from the Hauptbahnhof and about 15 minutes’ walk from the Alte Oper, it’s central location will make exploring Frankfurt a breeze. We should mention one thing though… it’s right in the middle of the red light district. This might deter some travelers and it might entice some others… just thought we’d warn you. 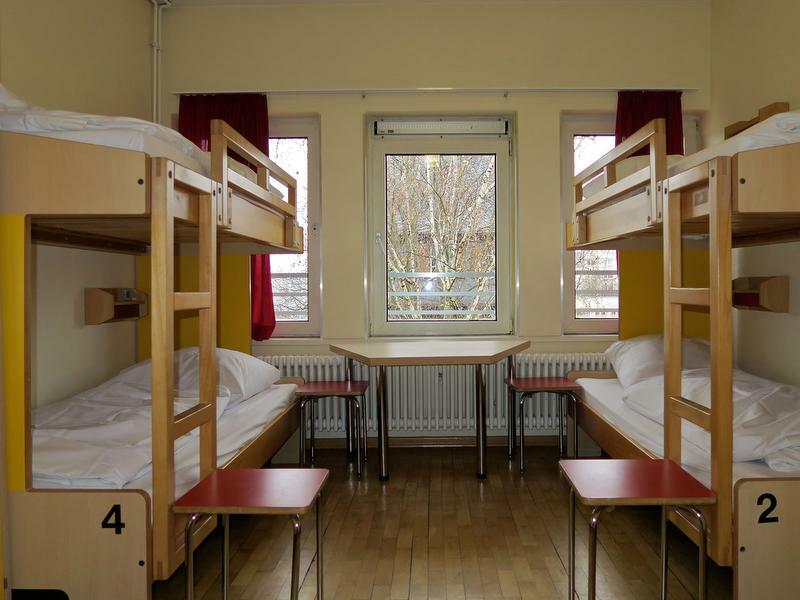 Offering a range of rooms from dorms to privates at affordable prices, especially as far as Frankfurt hostels go, you’re bound to find a space where you feel comfortable. Despite it’s cheap prices, Five Elements offer so much to their guests for free. There’s a free bar crawl, free pasta dinner, free coffee and tea, free towels and locker facilities and so much more – so go ahead and leave your wallet behind! Or maybe not. Their onsite bar is open 24/7 and this Frankfurt hostel hosts events every night of the week. Monday is crepe night, on Friday they run a beer tasting session, and Sunday’s movie night. Your schedule is going to be nothing short of jam-packed if you choose this hostel, which we highly recommend you do because it’s one of the best hostels in Frankfurt! Haus der Jugend hostel is one of the best hostels in Frankfurt because of its unbeatable location right on the banks of the river Main, as well as the panoramic views it offers. It’s within walking distance of all of Frankfurt’s main attractions, such as the Old Jewish Centre, Romer, and the Museum of Modern Art. Explore the hidden alleys and cobbled streets of the Sachsenhausen district where Haus der Jugend hostel is located. You’ll find taverns, cafes and bakeries with riverside views, only meters from this Frankfurt hostel! Offering dormitories of various sizes, this hostel uses simple decor to give it a modern, sleek feel. Enjoy views of Frankfurt’s panoramic skyline from your dorm window! Haus der Jugend offers a delicious free breakfast for guests, lunch and dinner buffet, areas to socialise, and even a ping-pong table for you to test your skills. In closing, this is one of the best hostels in Frankfurt for it’s ideal location, relaxed atmosphere and tasty breakfast! This contemporary hostel is located within walking distance of Frankfurt’s main train station, making it the perfect location to find transport links to the city. The friendly staff are always willing to offer advice and point out fun things to do around the city, as well as provide tickets for sightseeing tours and daily excursions if you’re ready to explore. This Frankfurt hostel is ideal for families as well as lone wolf travelers, as it offers family rooms as well as dorms of up to 8 beds. Guests particularly love the scrumptious all-you-can-eat buffet breakfast that’s available for just €7, which includes various vegetarian options and even diabetic-friendly options! What we love most about this hostel is it’s “skybar”, where you can watch the city unfold and light up in front of you as you sip on a delicious cocktail. It provides the perfect atmosphere to relax or make new friends from all over the world, and you get great views without having to stray too far from your room! If you’re searching for a hostel with a social atmosphere, modern feel and great location then look no further as you’ve already found one of the best hostels in Frankfurt! 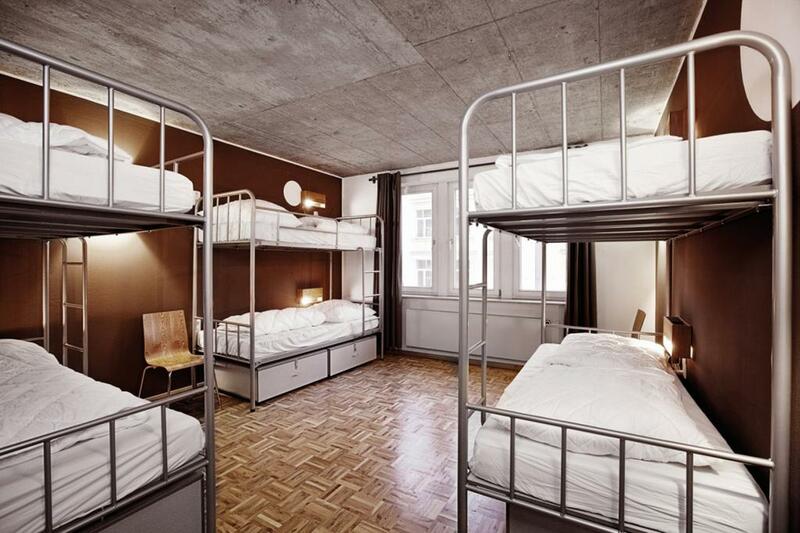 So, there you have it guys, our list of the best hostels in Frankfurt. 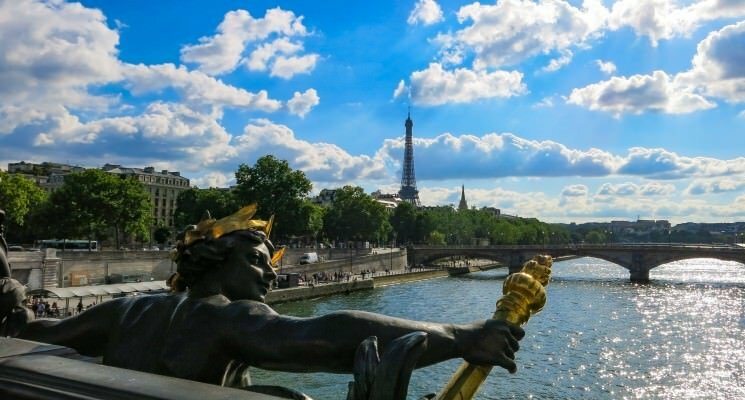 We hope you’ve given you some great ideas on where to stay in this interesting city. As always travel well and we’ll see you on the road! Sponsorship Disclaimer: Thank you to Omio for sponsoring this article. As always, opinions expressed are completely our own.